Brian Ruckley was born and brought up in Scotland. After studying at Edinburgh and Stirling Universities, he worked for a series of organizations dealing with environmental, nature conservation and youth development issues. He lives in Edinburgh. Read excerpts from The Godless World trilogy at Brian Ruckley’s website. The Godless World — (2007-2009) Publisher: An uneasy truce exists between the thanes of the True Bloods. Now, as another winter approaches, the armies of the Black Road march south, from their exile beyond the Vale of Stones. For some, war will bring a swift and violent death. Others will not hear the clash of swords or see the corpses strewn over the fields. They instead will see an opportunity to advance their own ambitions. But all, soon, will fall under the shadow that is descending. For, while the storm of battle rages, one man is following a path that will awaken a terrible power in him — and his legacy will be written in blood. If your taste runs along the likes of George R.R. 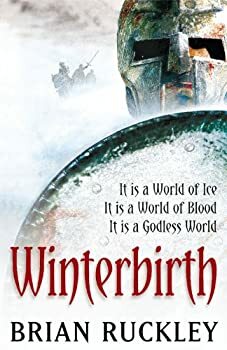 Martin — dark, gritty fantasy that reads like historical fiction — then Winterbirth, the first novel in Brian Ruckley's The Godless World trilogy, is for you. 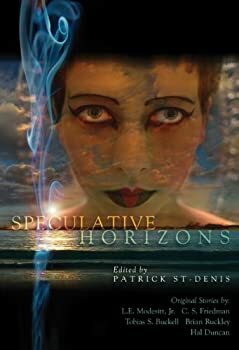 Often, the second book in a trilogy is accused of something called “Middle Book Syndrome.” The idea is that the second book in most trilogies is mostly filler and very little plot movement really happens. And often it is true. 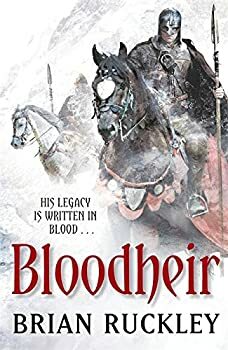 But if anyone accuses Brian Ruckley’s second book in The Godless World trilogy, Bloodheir of suffering from middle book syndrome, I’m afraid I will have to scoff in his face. The Edinburgh Dead — (2011) Publisher: The year is 1827. For Adam Quire, an officer of the recently formed City Police, Edinburgh is a terrifying place. It is a city populated by mad alchemists and a criminal underclass prepared to treat with the darkest of powers. But nothing can prepare him for the trail of undead hounds, emptied graves, brutal murders and mob violence that will take him into the darkest corners of the underworld and to the highest reaches of elegant Edinburgh society. The Free — (2014) Publisher: A warrior of legend. A warrior to be feared. The famed Yulan is leader of The Free, the last remaining band of mercenaries in the Hommetic Kingdom. Feared and revered, they were once seen as a threat to the Hommetic Kingdom’s power — until they outlasted it in the course of a bloody rebellion. With the oppressive monarch overthrown, The Free plan to finally lay down their weapons, hoping for a chance of peace at last — until Yulan is offered one final contract that he is unable to refuse. The target is the very man responsible for the worst atrocity Yulan has ever witnessed, one that has haunted him ever since. And now is his last chance to right that wrong. But as Yulan and his companions embark on their last journey, a potent mix of vengeance, love and loyalty is building to a storm. It is a storm so violent it is likely to destroy the last of the free companies. And only then will they discover the true price of freedom. CLICK HERE FOR MORE TITLES BY BRIAN RUCKLEY.